PLEASE NOTE: Enrolment for this training program is currently closed. You can use the button below to join our notification list and we will let you know when the next enrolment period starts. Welcome to the world’s first Organic Skincare Entrepreneur training program! We will teach you everything you need to know in order to go from complete beginner to organic skincare expert formulator and teacher. By the end of this program, you could have your own successful organic skincare business. This career-boosting program is aimed at people who want to take that all-important step towards setting up the business of their dreams and changing their life by creating their own high performance organic skincare range. The global organic skincare industry is growing year upon year as more people demand top quality natural skincare and start to question the ingredients in mainstream cosmetics. Will you become part of the global green beauty movement? Our foundation Diploma takes you from complete beginner to organic skincare formulator. This course has helped hundreds of people all around the world learn how to formulate 100% natural and organic skincare and has helped launch and grow dozens of businesses. Our Advanced Diploma builds upon your knowledge of organic skincare formulation and helps you elevate your skills to the next level. Covering more complex topics such as advanced natural formulation, you will learn the secrets of making high performance skincare. Our Certificate in Organic Anti-Ageing Skincare Formulation specialises you in the hottest niche in cosmetics – organic anti-ageing skincare. This course will perfect your formulations to incorporate the best cosmeceuticals and nutriceuticals for the skin. Formulating anti-ageing creams, lotions, elixirs, facial mists, facial polishes, serums, oils and facial masques. Our Certificate in Facial Masque Therapy teaches you to make therapeutic spa-quality facial masques to pamper your delicate facial skin. Influence the health of the skin by learning to formulate the 7 different types of organic facial masques. Our Certificate in Natural Cosmetic Preservation teaches you to make sure that your skincare products are safe, while still ensuring they maintain their natural and organic status. No one wants microbes growing in their cosmetics – learn how to avoid selling dangerous skincare to the public. Our Certificate in Chocolate Spa Products teaches you to make luxurious spa skincare with everyone’s favourite ingredient: chocolate! Discover the skin-beautifying and rejuvenating properties of cacao and learn to formulate with this miracle anti-ageing ingredient. Our Tutor Training program teaches you how to run our lucrative organic skincare making workshops anywhere in the world. Upon successful completion of the course, you sign a Tutor Licence Agreement and take receipt of your training materials pack to get started! Our Certificate in Cosmetic Stability Testing teaches you how to ensure that your products remain stable and safe for the customer. Enrol for our course to understand how to test your cosmetics for stability, microbiological activity, pH, humidity and viscosity changes. Your time is precious, so our distance-learning program is self-study and self-paced. Complete your courses at your own pace in your own time. Because the program is self-study, it should take upwards of a year to complete. Upon graduating, you receive an official Formula Botanica Certificate of Completion for each course. This amazing program is accessed online through our professional eLearning platform. When you enrol for the International Organic Skincare Entrepreneur Program, you create a username for our website and are granted access to all of our courses. 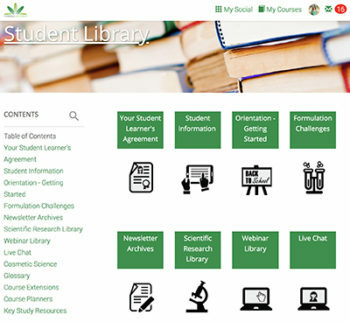 All course materials are fully responsive and can be accessed on any mobile, tablet or desktop computer. Become an expert organic skincare formulator with these eight great natural and organic skincare courses. Within 1 year you will have all the knowledge you need to set up your own organic skincare range, start your own natural and organic skincare business and run profitable skincare workshops. 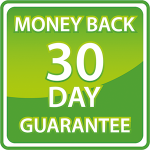 This training program offers you amazing value – you get 30% discount on our normal prices. For a total of £2,000 (payment plan also available), you receive a comprehensive online training program packed full of content in the form of training guides, eBooks, fact sheets, videos, webinars and many practical exercises for you to try at home. We recognise that this is a significant investment for most people so we accept payment in four equal instalments of £530 (approx. $700) over the space of four months. These instalments can be paid by credit card. Please check out our Terms & Conditions so that you understand what you are agreeing to when you enrol. 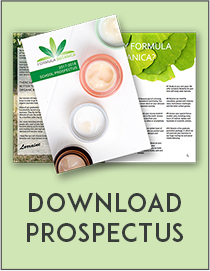 Study with Formula Botanica to create the organic skincare business of your dreams. Design an exquisite high performance organic skincare brand that will wow your customers and gain a loyal following, while teaching the world there is a more sustainable, healthier alternative in skincare. None. This organic skincare entrepreneur program is suitable for complete beginners. April or October. Self-paced training where you have up to 3 years to complete your course. The International Organic Skincare Entrepreneur Program is only open twice a year, in April and October. We always announce the enrolment dates here on our website.